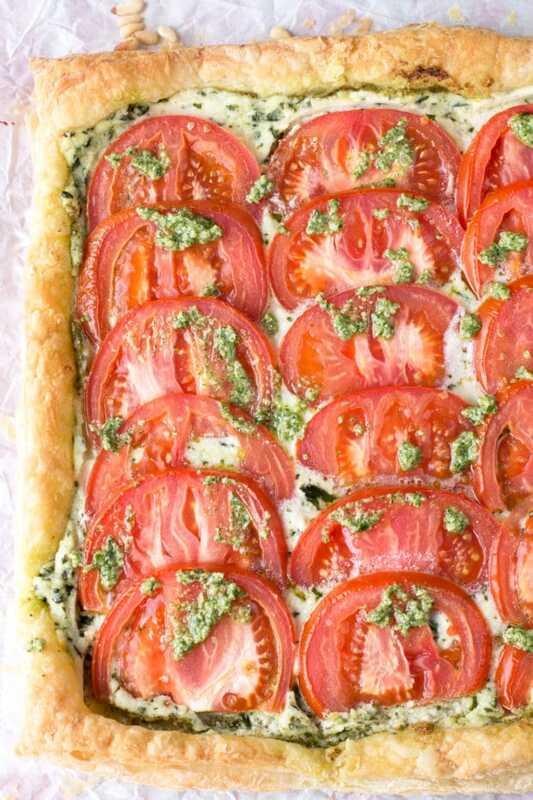 When you serve up a Watercress Herb Ricotta Tomato Tart, I can guarantee that the crowd goes wild. The straightforward recipe requires little effort, but the mixture of fresh flavors in this savory appetizer jump off the plate. 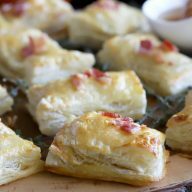 It’s a great savory appetizer to serve up at your next gathering! I first discovered how to make pesto on the rooftop of my university in the center of Rome. I kind of feel ridiculous even typing those words because it sounds so over-the-top romantic and wanderlust-y. I did this little cooking class through my school when I studied abroad and one of the recipes we learned to make was pesto. It’s a simple enough recipe that you blend up in a food processor, but I have never experienced fresh-made pesto before that moment. The first bite was an herbaceous blissful bite that I can still taste lingering on my tongue as I think about it now. Paired with tomatoes and cheese, it was simply heaven as I sat back with my classmates, stuffing my face and enjoying copious amounts of wine. Making pesto is the only way I devour pesto nowadays, but as I work with it more and more, I realize just how strong those flavors are. At times, they can be a little too strong because they tend to overpower more subtle flavors in certain dishes. This is where watercress comes in. Watercress is a delicious base for a pesto because it has a fresh flavor that won’t completely overpower a dish. 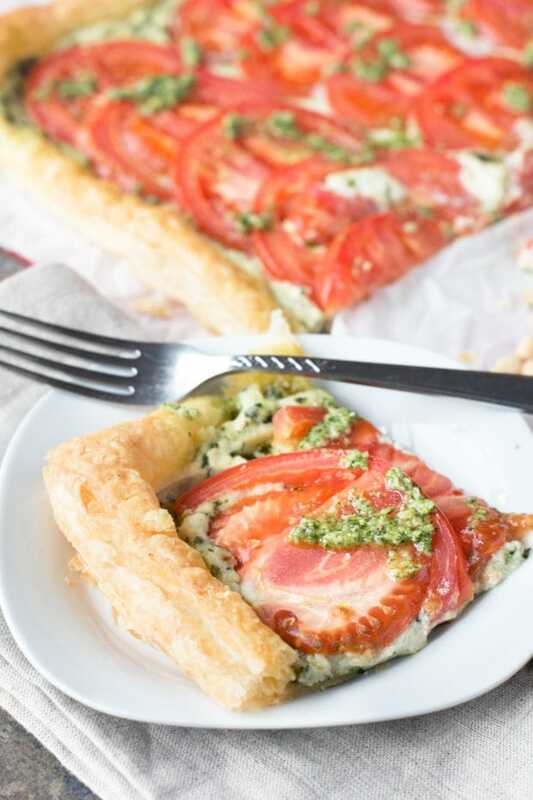 It’s really important in this savory appetizer because you don’t want to lose the herbaceous notes in the whipped herb ricotta that makes up the base of this tart. 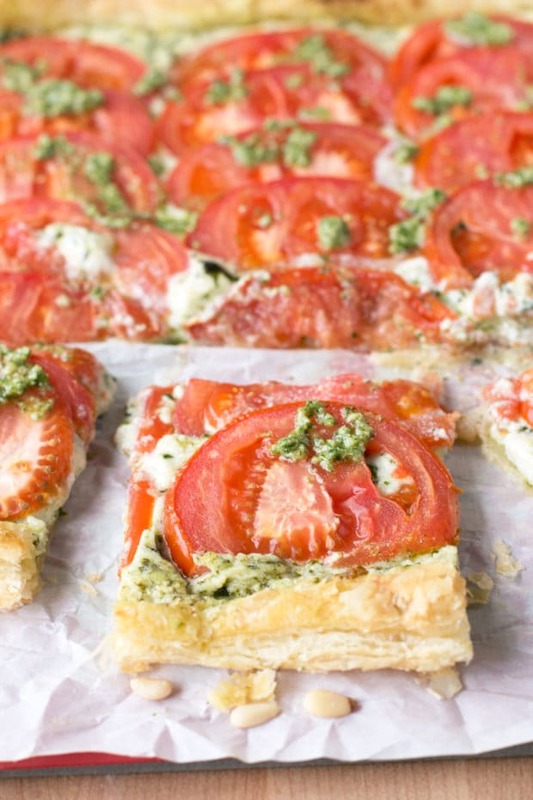 The roasted tomatoes, watercress pesto and whipped fresh herb ricotta piled up on puff pastry make this the ideal summer appetizer for any gathering you have coming up over the next few months. It’s simple and stunning, while easily feeding a crowd. 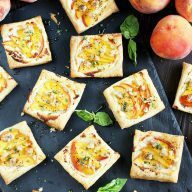 If you are looking to wow your friends and family, this is definitely the summer appetizer recipe for you! 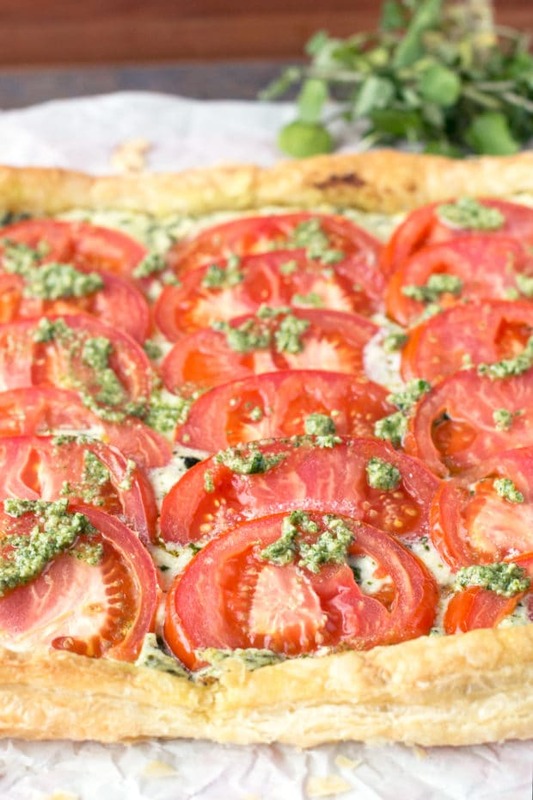 Get my complete recipe for this Watercress Herb Ricotta Tomato Tart over on the Watercress website. BONUS: My friends over at Watercress and packing in an extra prize for you all with a $50 Visa gift card giveaway below! Be sure to enter! 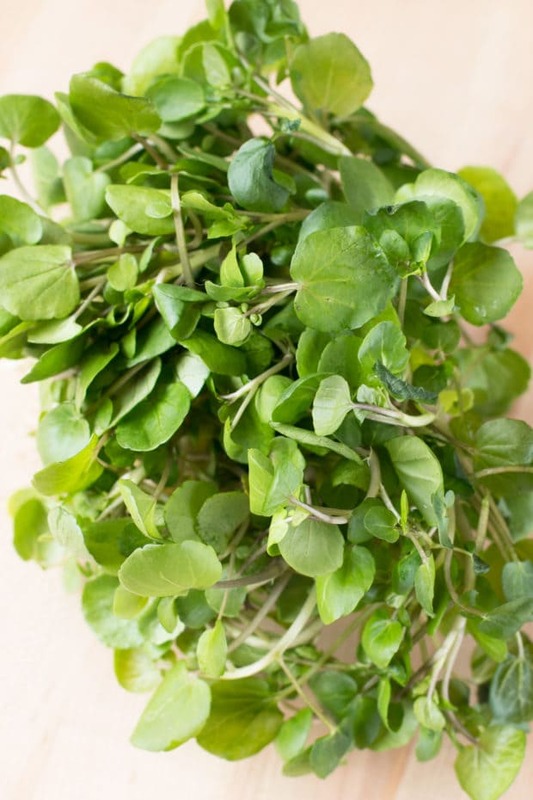 Disclosure: This post is sponsored by Watercress! 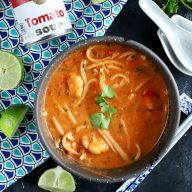 While I was compensated and given free product in exchange for this post, as always, all opinions and the recipe are my own. Thanks for supporting the brands that support Cake ‘n Knife! 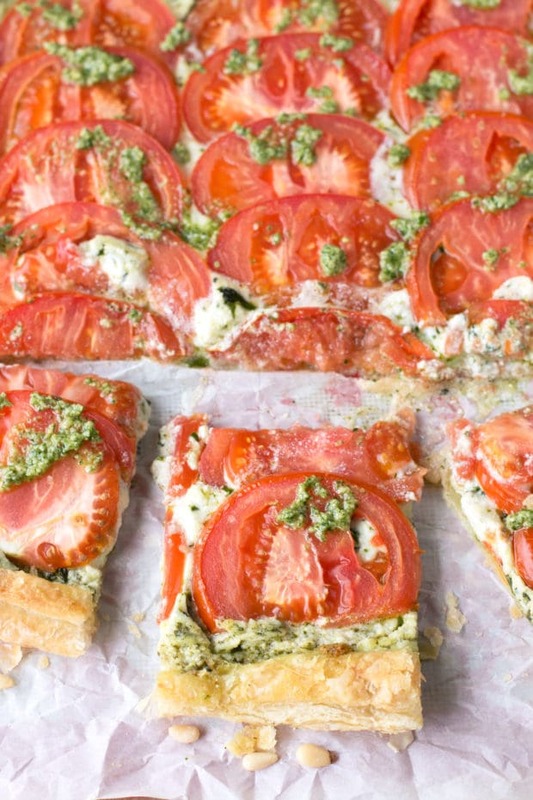 Pin this Watercress Herb Ricotta Tomato Tart recipe for later! OMG. This is appetizer PERFECTION, Meghan!